Gabor Petunia 402 women's slip on shoe. 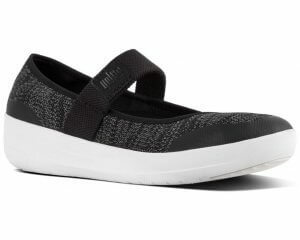 It features a beautiful silver paisley print on a black suede upper with a patent toe cap and heel counters, it's elasticated top line offers easy fitting. 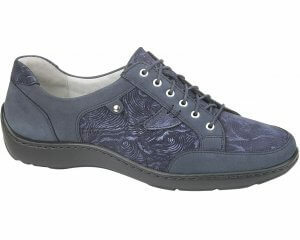 The cotton linings and cushioned leather insole provide lasting comfort underfoot. The raised 20mm wedge heel adds a slight height boost, great for those ladies who like a slight lift. A truly versatile style as it can be worn casually day to day or dressed up for smarter occasions. Available in a G width fitting.